Many millions of us are using Dropbox to back up files to the cloud and sync them across multiple machines, but the software can be used for more purposes than you might realise. Here are three of our favourite less-common-uses for Dropbox, together with instructions for how to get them set up. There are some top-notch media streaming platforms out there but if you want to take full control over the content you can get at from anywhere then Dropbox can help. 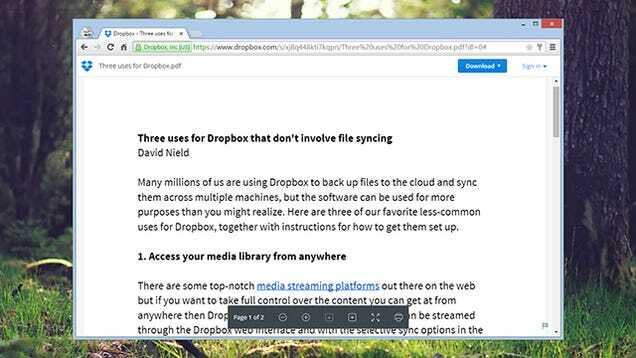 Common video formats can be streamed through the Dropbox web interface and with the selective sync options in the desktop clients you don't need to have all this media on all your machines. You don't get any advanced playlist management or anything along those lines (not without an add-on at least), but basic playback controls are included together with a volume slider and a full-screen option for videos. Don't forget the mobile clients, where you can cache files (like videos and music) on your device for offline watching and listening without Wi-Fi or 4G access. 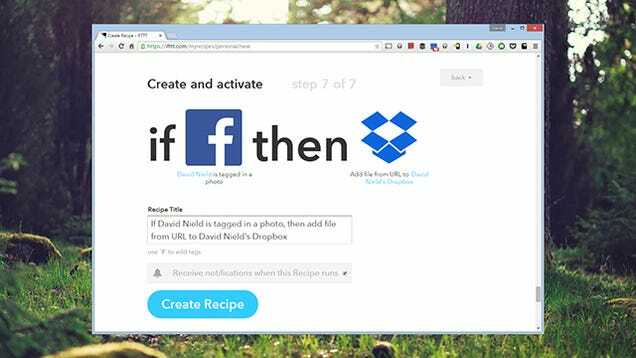 You may well already be using Dropbox to back up all of the photos and videos you're taking on your mobile, but it can pull them in from other locations as well with the help of a few IFTTT recipes. If you're new to If This Then That, it connects together a host of apps and sites for free, enabling you to create your own hacks and setups with just a few clicks of the mouse. You can use Facebook or Instagram as a trigger and then Dropbox as the action, piping any photos you upload or any photos you're tagged in back to your Dropbox (and your computer). There are lots of options to choose from. You can automatically pull in any public Instagram photo or video matching a particular hashtag, for example, though API limits are in place. Paying for your own web hosting space is a pain if you don't make regular use of it, but if you've got files in your Dropbox you can link to them publicly on the web. Anyone clicking through will be able to see and download your file whether or not they've got Dropbox installed, so you could use it to host a presentation online, or to distribute a copy of your resume, and so on. Fortunately Dropbox can preview a lot of common file types, from PDFs to Excel files, so your viewers don't need any extra software. If you need to quickly link to something from Facebook, Twitter, Tumblr or anywhere else then it's ideal. In the web interface, use the Share buttons to get links for files, and head to the Links page to keep track on the files you've already shared.